Ashley is trained in facial treatments, body treatments, Microneedling, Fractora, Chemical Peels, waxing, facial massage, and brow/lash tinting. She received her Esthetic license in New Mexico from the AVEDA Institute in 2018. She is currently trained in Aveda & PCA Skincare. 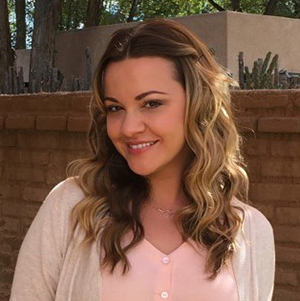 Ashley is constantly learning new techniques, trying new products, and researching the latest concepts in skin care, to be able to deliver the latest treatments and results to her clients. Automated Micro-Needling is a new innovation in aesthetic medicine for the treatment of the appearance of fine lines, acne scars and the improvement of the skin’s texture, tone and color. 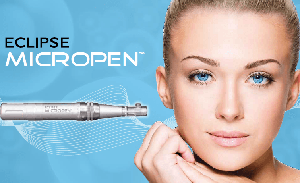 During this procedure, the Eclipse MicroPen® is used to create controlled micro-injuries to the skin in order to aid in the production of collagen and elastin. The skin’s repair process results in a thicker epidermis with a softer appearance of wrinkles. 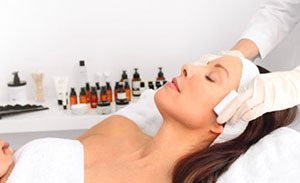 Treatments can improve the appearance of uneven skin tone, acne scars, traumatic scars and stretch marks. The health and beauty of your skin is of the utmost importance. A highly educated and skilled skin care clinician is one of the most important assets your skin can have. We are PCA Certified Professionals we are knowledgeable in each of the advanced treatments and products PCA has to offer. We are uniquely qualified to select the best combination of PCA SKIN® products for your skin and get you the results you want. Visiting us at Functional Family Medicine is a great first step in achieving your skin care goals with confidence. 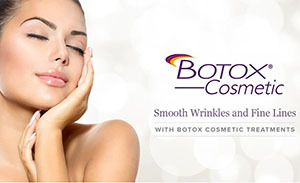 BOTOX® Cosmetic is a prescription medicine that is injected into muscles and used to temporarily improve the look of both moderate to severe crow’s feet lines and frown lines between the eyebrows in adults. The treatment targets one of the underlying causes of frown lines and crow’s feet—the repeated muscle contractions from frowning and squinting over the years. Your specialist will inject these muscles to temporarily reduce muscle activity. You will begin to notice a visible smoothing of your crow’s feet lines and frown lines between your brows. $25 credit toward services at Functional Family Medicine!